Villanova University’s Center for Energy Smart Electronic Systems (ES2), housed in the College of Engineering, has received a $1.1M grant to support a Collaborative Research Cluster Partnership. Villanova University’s Center for Energy Smart Electronic Systems (ES2), housed in the College of Engineering, has received a $1.1M grant to support a Collaborative Research Cluster Partnership. An NSF Industry/University Cooperative Research Center (I/UCRC), ES2 develops methodologies, tools and systems to maximize energy efficiency in data centers and other electronic systems. 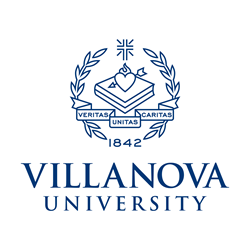 Villanova’s ES2 university partners are Binghamton University (lead), Georgia Institute of Technology and University of Texas, Arlington. The award, on which ES2 is the lead I/UCRC, is for the study of Hybrid AC/DC Power Delivery in Data Centers. “Collaborative research drives success,” says Alfonso Ortega, PhD, the James R. Birle Professor of Energy Technology at Villanova University, and Villanova’s ES2 site director. The NSF evidently agrees, given their encouragement and support of collaborative research clusters. The Foundation’s Pramod Khargonekar, PhD, assistant director, Directorate for Engineering, writes: “The goal is to enable active I/UCRCs to leverage each other’s expertise, research results, resources and existing networks and partnerships to establish a cross-center cluster that will tackle a cross-disciplinary, cross-sector portfolio of research projects that hold the potential to catalyze technology breakthroughs and advance national priorities.” Dr. Khargonekar also recognizes the potential of working with additional academic and industrial collaborators to advance these goals. The projects provide opportunities for industrial partners— whose organizations may be impacted by these research projects—to participate and network with other industrial members.